Download our brand manual (PDF) for information on using Knight's brand. 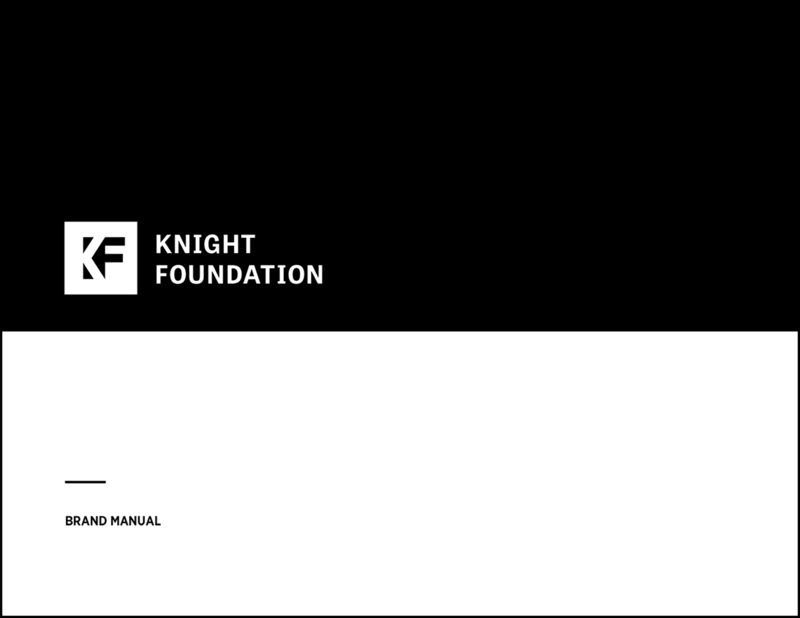 The primary version Knight Foundation logo is the horizontal lockup. Please refer to the spacing section below for proper usage of it and the alternate versions. Be sure to provide adequate space around the logo to maintain its legibility and integrity. The amount of space is proportional to the size of the logo. The minimum amount of space around all sides of the logo is equal to the height of the mark. May I use just the “KF” by itself? Yes. The square lockup is used primarily for social media and other applications where the horizontal version does not work. What logo can I use for the Knight Arts Challenge? Please choose from the above Knight Foundation logos. Check the brand manual (PDF) to see if it answers your question, but contact us if you need help. If you need a photo of one of our founders or an officer for publication, please visit our staff page. If you need additional help, send us an email, [email protected].